Dr. Susann Fegter is Professor for Historical and General Educational Sciences with a specific focus on Gender, Technologies and Work at the University of Technology Berlin (TU Berlin). Currently Susann Fegter is one of the project leaders of the multinational qualitative study on “Children´s Understandings of Well-being” (CUWB) with research teams in 25 countries worldwide. The CUWB Berlin part study has a specific focus on children´s understanding of digital well-being. Another current research project, funded by the German Science and Research Association DFG, works on changing concepts of gendered professionalism in pedagogical institutions. Part of this project is the methodological development of a discourse analysis approach towards statements in focus group discussions. 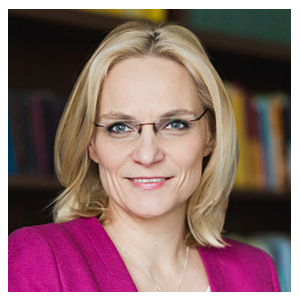 Since 2016 Susann Fegter is Vice-Director for Internationalization and Research at the School of Education (SETUB) at TU Berlin and since 2017 speaker of the graduate program DiGiTal, a cooperative program of several universities in Berlin, financed by BCP, to support gender equalities in academic careers and in research on digitalization from all disciplines.